Whats This? 15 ft of copper lineset - install kit - insulated with flared fittings. If you need longer lengths, please call us to upgrade your order. The high efficiency of these Mitshubishi Mr. 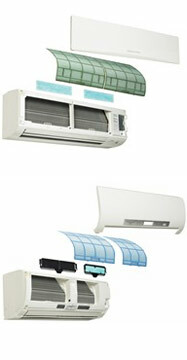 Slim Mini Split Ductless Systems like MSZFE09NA+MUZFE09NA helps them pay for hemselves by slashing electrical costs. Strong, quiet and efficient DC motors are used both indoors and outdoors. This Mitsubishi's Super High-SEER mini-split heat pump will provide you with 9,000 BTU of heating for winter and 3/4 ton of cooling for hot summer and it comes with 1-MSZFE09NA wall mounted 9,000 BTU unit with wireless remote control. This unit are connected to the modern MUZFE09NA - up to 12,000 BTU outdoor condensing unit. Complete system creat the perfect clymate control for your space. High performance fan blades, condensers and evaporators Combined with variable speed inverter-driven compressors makes for unmatched performance. Variable speed compressors automatically adjust to fluctuating room capacity requirements. Since mini splits have little-to-no ducting, they forego those energy losses typically associated central forced-air systems. Duct losses can easily account for more than 30% of energy consumption, especially if the ducts are not sealed tight or in an unconditioned space such as an attic or crawlspace. With ratings as high as 26-SEER (Seasonal Energy Efficiency Ratio), systems MSZFE09NA+MUZFE09NA and MSZFE12NA+MUZFE12NA are among the highest rated efficiency equipment available anywhere! 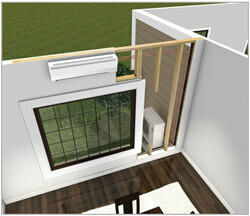 What is Mini-Split Heat Pump? Like your refrigerator, heat pumps use electricity to pump refrigerant and transfer heat from one space to another. 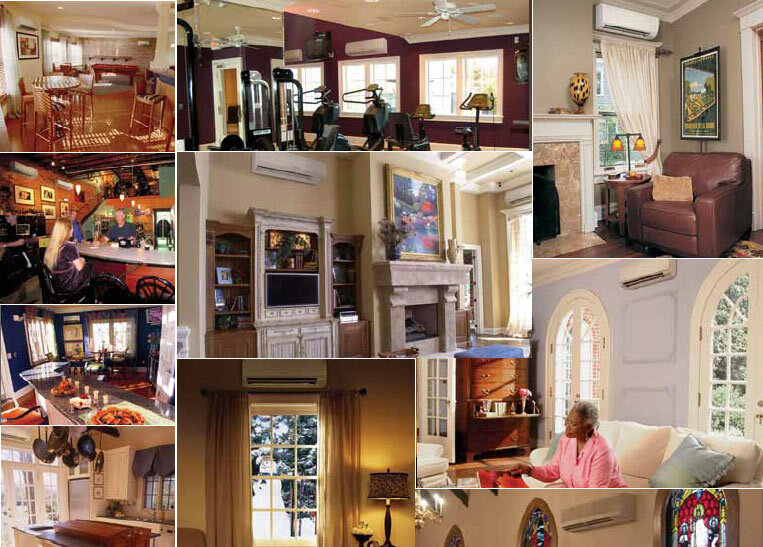 When we transfer heat from within our home to the outdoors, we call it "air conditioning". Conversely, when we transfer heat from the outdoors to within the home, we call it a "heat-pump". Because refrigerant is naturally much colder than outdoor temperatures even on a very cold day, it actually absorbs heat from outdoors, and transfers the heat it absorbed outside to within your home. The refrigerant's physical properties do this naturally. What you pay for is the electricity to pump refrigerant via copper tubing from outdoors to indoors. Because we move the heat rather than create it (as electric baseboard or resistant heat does), we can deliver up to 4 times the heat for the energy we consume! The i-see sensor detects the always troublesome regions of temperature closer to the ceiling and the floor. The i-see sensor also controls the airflow up to a wide 150° lateral angle for ultimate comfort (90° angle in cooling mode) by scanning the room and making adjustments based on the ambient temperature readings. Through this process the MSZ-FE09/12NA systems achieve superior cooling/heating performance with extremely efficient operation. Mitsubishi Mr. Slim Programmable ComfortSmart Set featured on MSZ-FE systems provides the option to program multiple settings into one "quick" press feature providing an additional level of comfort control.